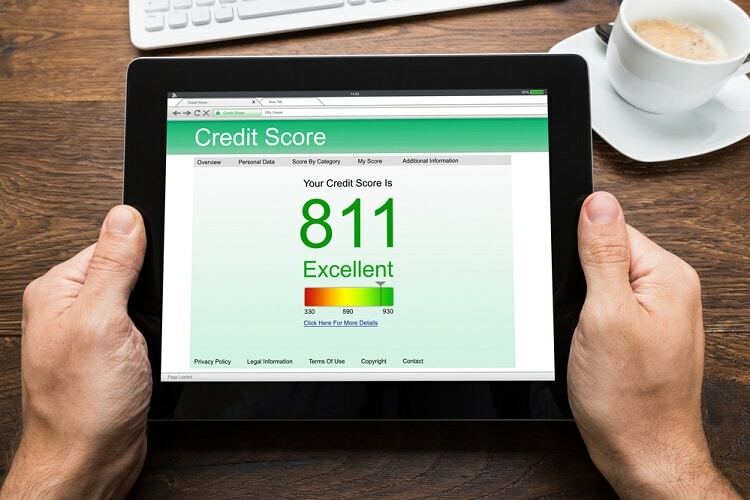 What is a good credit score and why is it so important? Your credit score can determine quite a bit about your life. It can determine where you live, what you drive, and even where you work. If you don’t have a great credit score, it’s important that you make decisions to help you fix that problem. To begin, though, you’ll need to determine exactly what score to aim for – and that means knowing what credit scores the industry deems to be acceptable. After that, you’ll need to know the steps to take to fix your score. The FICO credit score system is rated on a scale of 300-850. On this scale, a good credit score is usually rated as anything above 700. In reality, most credit scores fall somewhere between 600 and 750, and most lending is generally geared to that scale. A good credit score can vary by industry, however. If you are looking to get a home loan, for example, a score above 640 is usually sufficient. Renting an apartment, however, might require you to have a score that’s higher than 700 at a minimum. What Is a Good Credit Score: Who Uses Your Credit Score? Generally speaking, credit scores are used by anyone who is going to lend you money. The most common lenders are those providing mortgages, car loans, and credit cards, but you may find that you need a good credit score to make several other kinds of purchases. Credit scores have become more important over the last few years, and it can be very difficult to undertake any kind of financial transaction if you don’t have at least the minimum score. It’s also possible that you might need a good credit score to deal with some problems that have nothing to do with lending money. If you are renting a home or an apartment, for example, you might find that your credit score will be used to determine whether you will be allowed to rent or not. You might even find that some jobs in the financial industry require you to have a minimum credit score to work. While it’s unusual for jobs to ask for your credit score, that score is being used as a method of determining how trustworthy you are with money. If you can’t meet the minimum numbers, you will not be able to do many activities that require a good sense of fiscal responsibility. Getting your credit score is far easier than it has been in the past. Not only can you visit Annual Credit Report to get your report for free, but you can actually access your free credit score through a number of different sites now. There are several websites that are regularly advertised on television and online that can get you a credit report in seconds, and most will require you to pay no fee. You may also wish to look at your bank’s services to see if they offer credit reporting to find out what is a good credit score. Many banks now allow users to check out what is a good credit score from their online portals, and many credit card companies are following suit. This is usually the easiest way to check your score, though the data provided is not always the most useful. Remember, you do have several credit scores and not every source will provide you with a link to all of them. You’ll want to check out multiple sources to make sure you get everything you need. Before you start making changes to your life, make sure your credit score is correct. Go over your report to make sure all the debts listed actually belong to you and not someone with a similar name. The only way you can deal with those issues is by having them taken off your credit score, so start looking quickly. Typically speaking, the best way to improve your credit score is to improve your debt to asset ratio. Pay down the debts you have as quickly as possible. It’s usually a good strategy to pay off small debts first, and then use your remaining money to pay off the larger debts later. The more you pay off, the higher your score. Having your score checked provides a temporary but significant drop of your credit score. As such, make sure you avoid applying for credit while you are attempting to improve your score. Note that looking at your own credit report will rarely cause you problems – it’s only when an outside source looks that your score will drop. If you can’t pay off a debt now, you may be able to convince your creditors to let you pay off a lesser amount. This will remove the debt from your credit report and save you money at the same time. Remember that this will not always work, but it’s always worth a try. Many creditors are happy to get something now instead of waiting for more in the indefinite future. If there’s an issue on your credit with an old debt, it may be wise to contact that agency to find out what’s going on. You might find that certain debts that were paid off are still on your credit report and you may have to contact several agencies to get it removed. The sooner you start working on this process, the better. What is a good credit score? It is usually anything over 700, but that can vary depending on your needs. Instead of focusing on the score, it’s a good idea to focus on ways to make sure that your credit stays healthy. Always pay attention to your spending and your debt. With a little work, you can ensure that you’ll never have to worry about your credit score falling. While it does take discipline, you are the person in charge of your credit score – and if you can definitely keep it up as long as you are willing to put in the effort.